As forecasted, the strong storm we have been looking at is finally here. 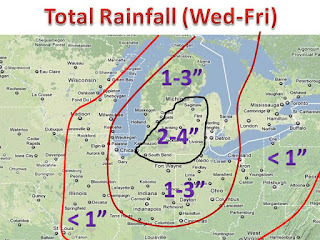 Heavy rain will continue to fall in the eastern great lakes. 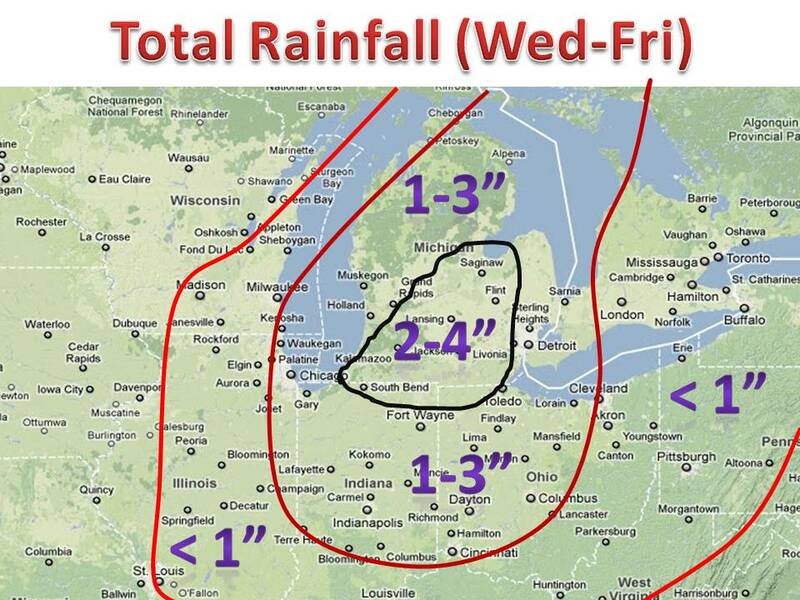 See map on the left for exact totals in your city. The storm will drift west and then turn to up to the northeast. It will take a couple days to get out of the area and the wind and cold will finally be gone. Look for temps to return to above normal. Keep it here at midwestweathertalk!